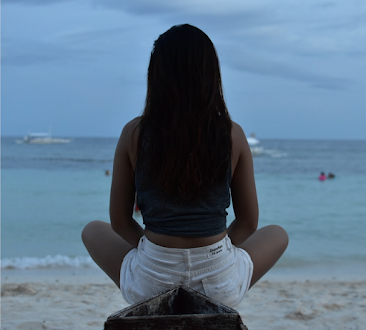 There will always be a place that makes you smile after reminiscing the experiences you had there. Sapa valley brought me to that feeling. Sapa is one of the loveliest hill town in Vietnam located in Lao Cai Province. 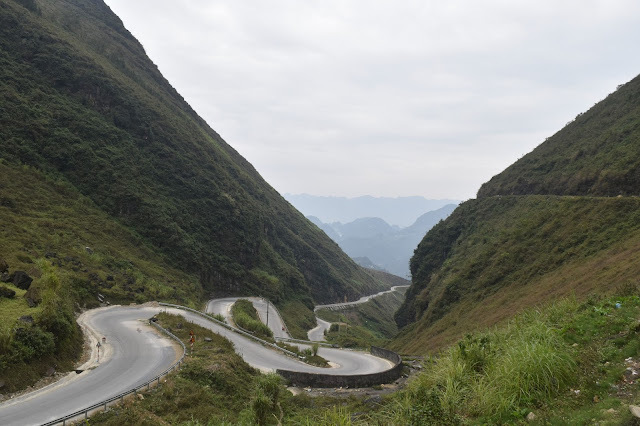 I may compare it with Ha Giang Province but there are some differences between the two. I visited Sapa during the winter season. I never thought I would experience that cold weather as I never expected that during my 22 years of existence in Philippines. Rainy seasons in Philippines are the coldest for me but staying in Vietnam for 2 weeks is never easy. Suffered from two-zero degree is never that easy. Chills at night as homestay places are not as covered as hotels. If you search deeper about Sapa, it is highly recommended for those who like trekking and adventure. Sapa's pride is their special and unique terrain. I booked my trip to Sapa via Sinh Tourist which I first mentioned in my blog about Halong Bay. It was kinda expensive and the tour includes my accommodation and tour guide. The bus that took me to Sapa send me off the hotel where I am going to stay for one night. It was so gorgeous than I expected. Rooms are so elegant with bathrooms have hot showers. I never regretted paying that big amount at all. The design and arrangements on the lobby are fantastic and so modern. As part of their culture, tea is being serve to the guests. It is for free and maybe unlimited (if you like). I arrived around 2 in the afternoon and the staffs prepared my free lunch right away. I was eating when my tour guide arrived. At around 3pm, we started our tour. Walking through Sapa's enormous lake going to Quang Truong Square, I have seen various kinds of ethnic minorities like H'mong, Thai, Giay and many more. As we are walking, some group of H'mong women are following us and begging to buy their handmade products. Even we are ignoring them, they are still following us. Lily, our tour guide, introduced us to some places including where she was living but unfortunately we were not able to visit her village. It's so nice of her because she can speak english fluently. I was glad to meet her and considered her as my younger sister. She was so jolly and can explain things clearly. We went to a wild place where we saw a guy carrying a long bamboo trunk delivering to the city and some group of old women carrying heavy loads containing handmade products ready to be sold in the city. I was amazed by what they do for their living. Then we realized that we're on the hilltop. We were able to see the unique terrain that is touching the sky. It was so nice and how we wish we can climb it. Then Lily said that it's possible to reach that mountain by using cable cars. But unfortunately it wasn't in our tour. 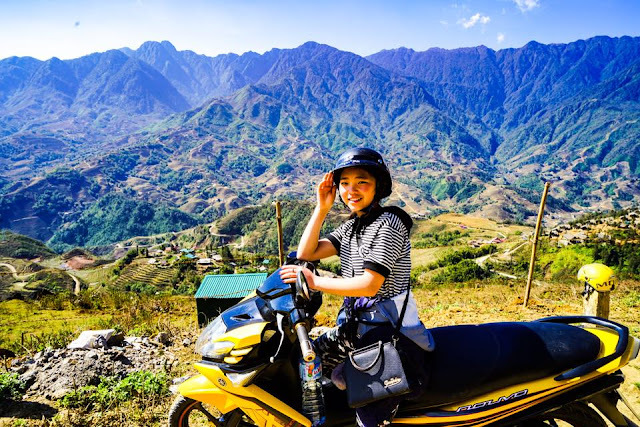 The highlights of our Sapa tour. We continued exploring towards the villages and saw some wild pigs, fluffy dogs and children playing on the street. At night, together with some friends, we were told to go to Quan Truong Square as there is an event every weekend and night market as well. We saw some group of ethnic minorities showcasing their talents like performing their traditional dance, singing and playing some instruments. We tried their one of a kind street food. It was like a pizza crepes with eggs and some shredded vegetables with ketchup and mayonnaise. Delish!!! We also did window shopping and got a foot massage. I also recommend you to try their massage as it is affordable and addicting. The next day, a mini bus pick us up from the hotel. We went to Bac Ha, another rural district in Lao Cai, we explored their weekend market where locals are selling their products and some tourists have the chance to bargain for the price. Selling clothes, fruits and vegetables, cows, pigs, also poor dogs. After that, we went to a very small village and had a glimpse of their lifestyle. The last place we went to is the Lao Cai-Hekou border, the bridge that connects Vietnam to China. For some few minutes, I was able to finally see China 😂. This was one of my favorite trip because I experienced a lot and met some locals. I haven't gotten in any trouble so I considered it as a successful trip. If your planning to visit Sapa, you may contact me by sending me an email and I can arrange you a trip going there. You may also contact me via my Facebook page.